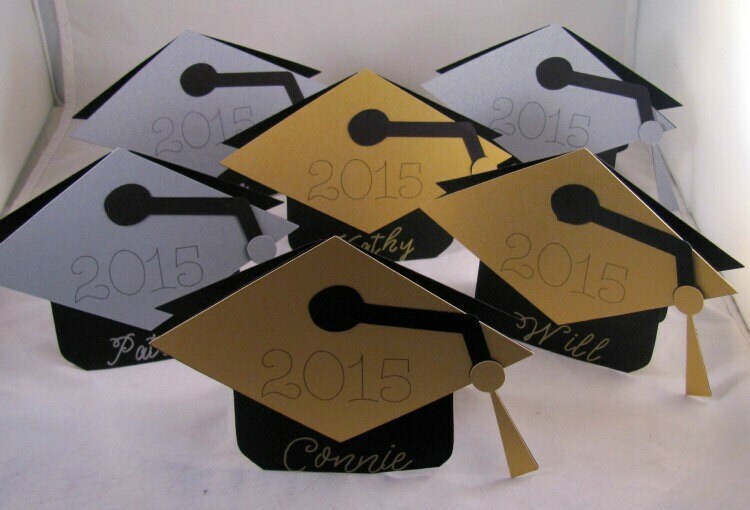 Graduation Mortar Board Place Cards or Food Tent Cards-set of 1 Dozen. 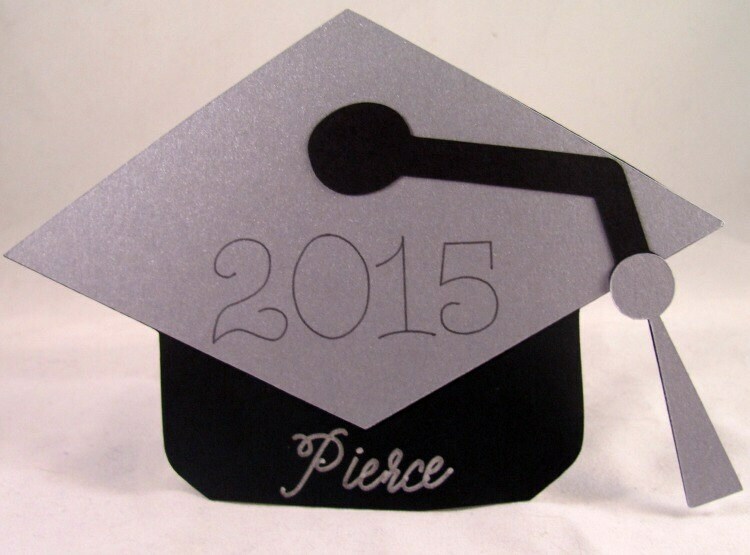 Great graduation personalized keepsake. Black and gold or black and silver tent cards come personalized with names done in corresponding silver and gold ink or may be left blank for your own personalizing. These can also be customized to your school colors-just specify in notes school colors and/or school website address so colors may be matched. 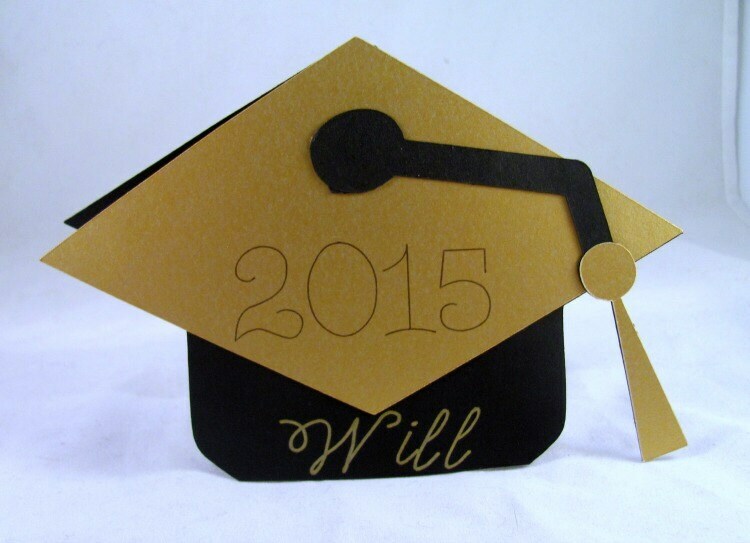 Cards are 4" tall and 5" wide from widest point of mortar board. Please allow 1 week for order processing. Item will be shipped in US via US Priority Mail. International orders are available on request. The graduation caps are exactly what we were looking for! We will be using them on the food table.